Sun-Maid Raisin Cinnamon Swirl Bread! I don’t know about you but, brunch is back. I absolutely love having brunch and even brinner sometimes but, I’m a fan for the sweet tooth side of brunch. 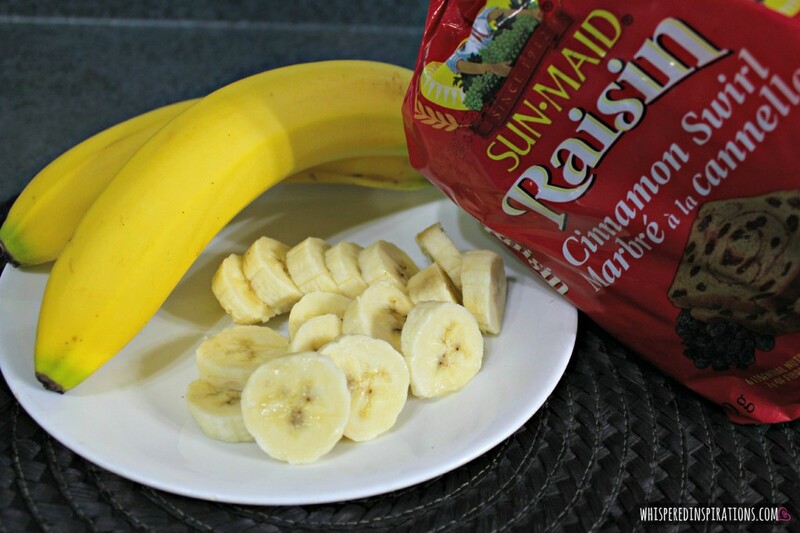 Sun-Maid sent me a few coupons for Sun-Maid Raisin Bread and I loved the idea of this recipe, I decided to share my version of it with you guys! Brunch is a fun, easy and affordable way to connect with family and friends–doesn’t take much to plan! You don’t have to worry about slaving away in the kitchen or having someone watch the kiddos while you cook. In a recent survey conducted by Angus Reid, 80% of Canadian families stated they would consider a festive brunch in place of the typical dinner this holiday season because it offers a change of pace and ample time ton enjoy with guests. Well, I agree, brunch is easy and this recipe is my twist to a banana foster dessert brunch dish. You can eat this on it’s own or in place of french toast, crepes or even pancakes and you will be equally as satisfied. Or if you’ve come with a big appetite, save it for dessert. Take butter or margarine and coat your muffin/cupcake tin with a brush or use a cooking spray so that the bread doesn’t stick. To make the cups from the Sun-Maid raisin bread, start pushing in the bread softly in the center, once it’s cupped in the middle–pull the corners up and place into the tin. If they rip, it’s okay–try to shape and mold them into cups as best as you can and place in oven for about 10 minutes or until toasted. Take 3 tbsp. of butter/margarine and place it in sauce pan. Begin to melt on medium heat on the stove. Add 3tbsp. of brown sugar into mixture, make sure to stir well until sugar becomes part of the mixture. Add 3/4 cup of heavy whipping cream and mix well. Add 1/2 tsp. of vanilla extract, 1/2 tsp. of cinnamon and a pinch of nutmeg. Combine well and let it simmer, if you aren’t using a non-stick pan, continue to stir frequently and fold the mixture from the outside in. Once the bananas are nice and soft and the filling has thickened, take off the heat and let cool slightly. Carefully take the Sun-Maid Raisin Cinnamon Swirl Bread cups out of the tin. Place on serving plate and spoon in the Banana Foster mixture into the cups. Top with whipped cream and if you’re so inclined, add a bit of chocolate! Sun-Maid Raisin Bread is available at major grocers across Canada. For inspiration, nutritional information and additional recipes to try, please visit www.sunmaid.ca! What do you love to eat for Brunch? Oh these look and sound fabulous, a must try for sure. Mmmm…. That looks delicious and easy to make. Thanks for sharing the recipe! These cups are so cute!! I love the idea of making cups! This will be perfect for our New Year's brunch! Thanks for the yummy recipe!!! Yum! I like what my mom used to call 'egg in a basket' which is a piece of bread with a hole cut out and an egg in it. Simple, but good. Wow, these look so delicious and so cute too! I love trying new recipes, and these will be a hit with my family for sure! Thanks for sharing!! That looks really tasty. I like french toast, raisin bread, and bananas foster. Why not all together? This looks so delicious! So perfect for a cold day! It is very warm and tasty. Enjoy! That looks so very tasty. oh my this looks amazing! 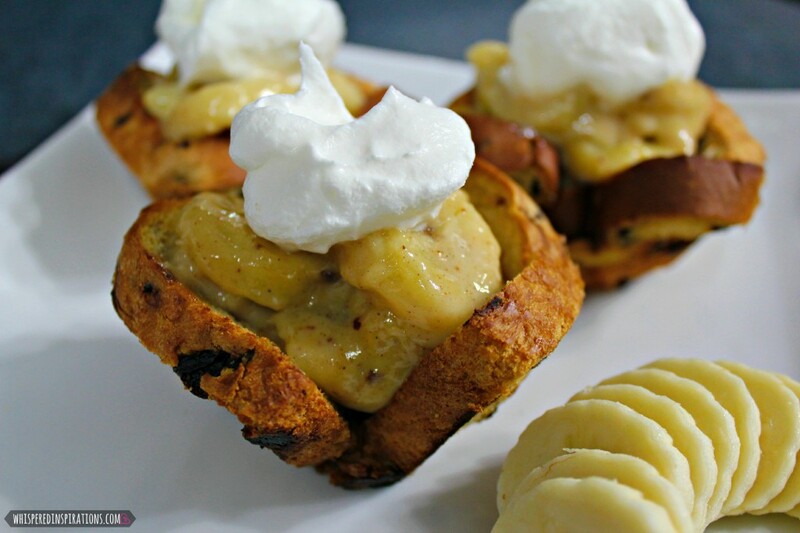 bannans foster, is one of my favorite desserts… having this for breakfast… yes please! What a fun recipe! That looks really good, I love banana's! what a yummy idea!! and really who doesn't love sun maid raisins!? OOOOO I love easy new recipes! Thanks for sharing! We do enjoy brunch occasionally. We generally go for eggs of some sort but these look good! 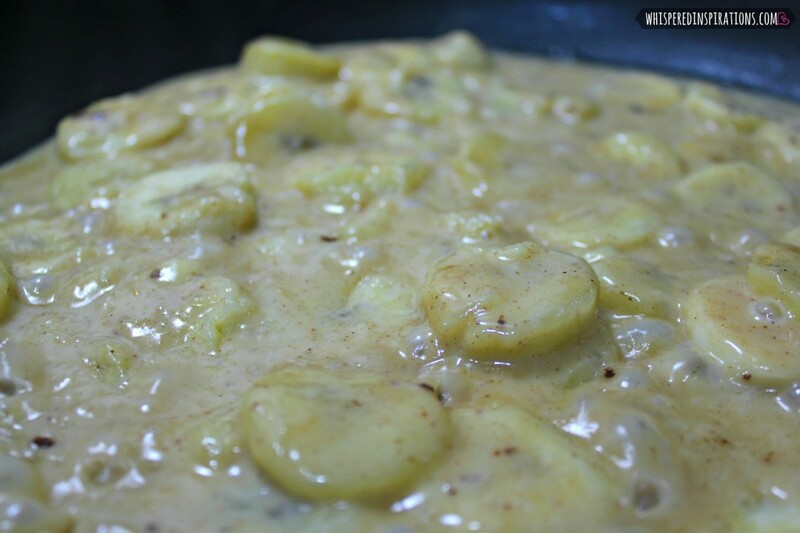 My wife is a HUGE bananas foster fan, I have to show her this (and convince her to make them, not me). How creative and tasty looking!!! I so want to try this. YUM!!! It is delish, you should give them a try. Oh, this looks delicious! I love cinnamon raisin bread and I bet I would love this recipe! Oh, I love this!! We are throwing my sister a brunch-themed baby shower in May. I am so excited! My recent post Welcoming Spring with Modere Lifestyle Essentials – Stylish, Safe & Smart! How exciting! Congrats to her. I love that you put the bread into a muffin tin to make a cup! So creative and yummy! Oh, this looks like such a delicious recipe! I love taking them on road trips, a nice snack that fits so well into the purse!! 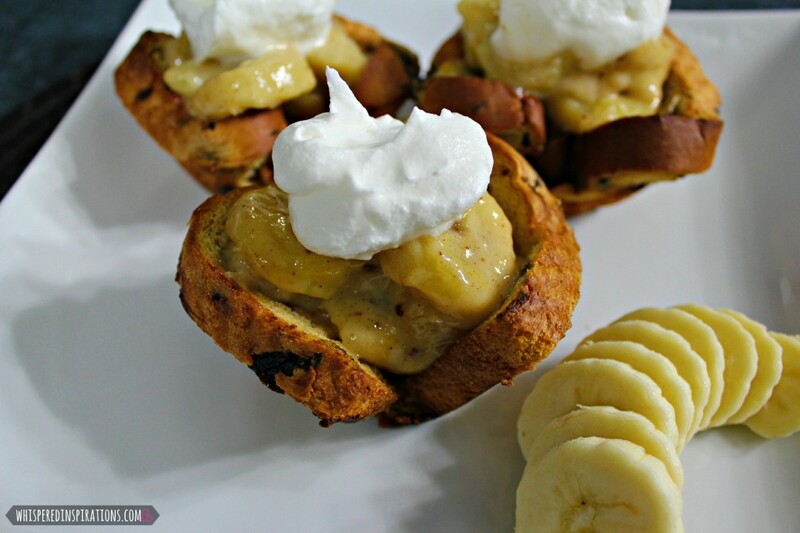 I love Banana Foster and this yummy recipe looks like a great way to eat cinnamon raisin bread. I’d definitely eat this for brunch. That sounds REALLY GOOD!! We always have a loaf of Sun Maid raisin bread at our house. It is our favorite bedtime snack – warm raisin toast and milk. yummy! That looks great, my kids would love this! Oh that raisin cinnamon swirl bread looks so amazing. Yum! Yes Please. It would be delicious for an Easter brunch coming up. I agree. Perfect for Easter brunch! This looks amazing! I'm totally making this tomorrow! Wow, what a fantastic idea! I need to try these, so creative! LOL, it is your taste buds dream come true. 🙂 Give it a try. Wow! Those look SO amazing!! Sounds like a yummy recipe to me. Perfect for breakfast or dessert. We enjoyed this this morning with the grandkids and it was a huge hit! So delicious!